If you want to change the world, start off by making your bed. On May 21, 2014, Admiral William H. McRaven addressed the graduating class of the University of Texas at Austin on their Commencement day. Taking inspiration from the university's slogan, "What starts here changes the world," he shared the ten principles he learned during Navy Seal training that helped him overcome challenges not only in his training and long Naval career, but also throughout his life; and he explained how anyone can use these basic lessons to change themselves-and the world-for the better. Admiral McRaven's original speech went viral with over 10 million views. Building on the core tenets laid out in his speech, McRaven now recounts tales from his own life and from those of people he encountered during his military service who dealt with hardship and made tough decisions with determination, compassion, honor, and courage. Told with great humility and optimism, this timeless book provides simple wisdom, practical advice, and words of encouragement that will inspire readers to achieve more, even in life's darkest moments. Retired Four-Star Admiral William H. McRaven shares life lessons learned during his storied naval career. He led at every level starting as a Navy SEAL and ending his career as Commander of all U.S. Special Operations Forces. The anecdotes he uses to illustrate his points are compelling—where else would you hear about how Saddam Hussein maintained control over his subordinates even when he was in U.S. custody? This isn’t a military book—it’s an elaboration of the commencement address McRaven gave at the University of Texas focusing on the key components of creating a successful life. Life is tough and those that flourish will meet challenges with a positive attitude, discipline, determination, and a strong support system. He doesn’t sugar-coat his advice, nor does he glorify himself or the military. He joined the military to make a positive difference in the world and that mindset permeates the lessons of this book. His inspiring wisdom is worth an hour or so of your time. In Shoe Dog, Phil Knight shares the unbelievable saga behind the creation of Nike. It is a riveting read and a flat out miracle that Nike exists at all. Knight never envisioned creating an industry, he just wanted to solve a problem he was intimately familiar with from running track at the University of Oregon. He had a dream. This, as most innovators will tell you, is the most important reason for starting a company. As you follow all the twists and turns Knight experienced as he built his business, it’s amazing to realize how easily it could all have fallen apart. It’s a good reminder that a “failed” business could have had a great idea but didn’t have the right circumstances or collection of people to champion it. So many things have to go right for a business to succeed. The most interesting aspect for me was the cast of characters that Knight assembled and their willingness to do what it took to get their products to market. I’d venture to guess that not many people—and Knight had at least two--would be willing to pick up and move across country, create and staff an office, and all while taking on a new role in the company—then do it all over again once it was a success because the company had a need. This is a story of someone who refused to give up on his dream no matter what obstacles he faced. The writing is engaging--you feel like you’re listening to a friend. It is the best memoir I’ve read in a long time. Triggers is a good reminder that we are a product of our environments (mental, physical, spiritual, social, etc.) and that we have the ability to tweak them to improve our chances of success. Goldsmith focuses on helping you identify “triggers” to problematic behaviors and creating an action plan. The goal is to give you a choice--respond or react. What was different about this take on behavior change was the addition of mindfulness to the equation. In practice, this shows up as creating a series of questions in order to measure the effort you’re putting in around achieving your change in behavior and having an accountability partner ask them of you daily (versus checking to see whether you’ve achieved the goal itself which focuses only on the outcome.) For instance, “have I done my best to eat healthy today?” versus “did I lose weight today?” It puts attention on the variable you have complete control over and is very empowering. There are some useful nuggets to help you live with more intention in order to be the person you want to be. It was worth the read. If you’re expecting a straightforward “how to present” book, you’ll be disappointed. Instead you’ll walk away with really solid information on all aspects of good communication. A former actor, author Michael Port argues that presentations/speeches/interviews are all performances and as such start much, much earlier than when you walk on stage. Thinking of interactions as performances is a useful construct because it helps keep you focused on how to communicate the points you need to make in the most powerful way. He gives practical techniques for creating stories, improvising, opening and closing presentations, and how to “crush your fears.” Because he was an actor he reminds you to use your body and get (and keep) your mind in the game. Unlike many self-help tomes, he emphasizes that you need to find your own voice/style (vs following his “formula”) and he gives you help in discovering it. Because this book is jam packed with information you’ll probably want to refer back to specific sections once you’re ready to apply them after you’ve had a chance to digest the book. If you want to be a more effective communicator, this book is a must read. This is an easy-to-digest book about the nature of inspiration. Elizabeth Gilbert, the author of Eat, Pray, Love uses her own experiences to show how she chose to face her fears in order to live a creative life. Her belief is that all of us are creative in some way—it’s up to us to figure out how to express it. She believes the best way is to stay curious and avoid needless suffering. In fact, she flat out rejects the idea of the “tortured artist” saying that it’s just an excuse for bad behavior—and I couldn’t agree more! Her story about how Dr. Brene Brown, who gave one of the most viewed TED Talks in the world, was able to make the writing process work for her was fascinating. As an academician, Dr. Brown had written papers for years with little enjoyment. However she loved public speaking. Using Gilbert’s advice, she rounded up 3 friends and decamped to a beach house where she proceeded to speak her book to them while they took notes. After each “chapter” she’d take their notes, transcribe, and then read it back to the team. They would then probe and capture her answers. By using her preferred way of tapping into her creativity, she was able to more easily and powerfully express her ideas. And she and her friends had fun at the beach—and yes, she did pay her friends! She doesn’t pussyfoot around the inevitable fear that shows up when you try to do anything creative. Her advice is to not worry about the outcome. It’s the “done is better than perfect” school of thought. She says that there’s beauty in just completing something. Her examples of when she chose to let stories out into the world that weren’t perfect because fixing them weren’t worth it were really instructive. It’s the process of creativity that is so rewarding, not the cash and prizes that few achieve. This book will inspire you, give you “how to” ideas, and encourage you to live a more creative life. This book gives you a field-tested, step-by-step, process for taking any idea from its infancy to a go/no go decision—in just five days. It probably sounds too good to be true—I sure was skeptical. However, author Jake Knapp, created the Google Ventures sprint process and has led sprints for everything from Gmail to Google X which gives him some pretty serious credibility. Sprint is an interesting and entertaining read filled with great real-world examples of how different companies used a sprint to answer critical business questions. The format follows the framework of an actual sprint so you understand what happens each day along the way. While each sprint is an exercise in speed and urgency it’s not at the expense of good thinking. It really drove home how much can be accomplished when there is a very tight, shared deadline against a focused objective—and meeting-a-rama is not part of the equation. You’ll want to go and immediately run a sprint when you get back to work after reading this book. It’s so logical to focus your best thinkers for five days in order to save hundreds of meeting hours, time going down blind alleys, and the politicking that comes along with any change. But the resistance to trying a new way of problem solving is anything but rational. In fact, just convincing management and team members to take 5 consecutive days to dedicate to solving one specific business problem—no matter how critical—seems daunting. The authors are very clear about what can (and has) gone wrong in previous sprints--most specifically not having the decision maker there for the entirety of the session. It certainly seems worth the effort to pilot a sprint (assuming your problem is appropriate) within your span of control in order to help make a business case to management. With the pace of business ever increasing, anything that can help make better decisions faster is worth trying. In The Knowledge Creating Company, Takeuchi and Nonaka described their approach as a form of "organizational knowledge creation, [...] especially good at bringing about innovation continuously, incrementally and spirally". Essentially one cross-functional team across multiple overlapping phases tries to go the distance together, “passing the ball back and forth.” (Scrum refers to the rugby play in which the two teams pack tightly together and try to gain possession of the ball which is tossed in among them working together as a unit.) Scrum is the antithesis of the traditional linear, sequential approach typically illustrated in a Gantt chart. Sutherland’s experiences provide a practical reminder of how to manage your time whether or not your company uses Scrum. He reminds us to allocate our mental energies and resources appropriately, immediately address issues, prioritize to avoid overwork, and the dangers of becoming complacent. He also covers teams—characteristics of great ones, perspective on optimal group size, and the need for zero tolerance for disrespect, incivility, or abuse at work. Scrum is a good reminder that we have more control over our time than we think. “I know many people hold me ultimately responsible … (but) I cannot monitor everyone all the time. 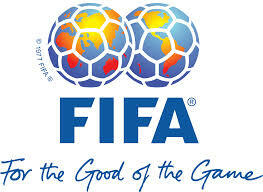 If people want to do wrong, they will also try to hide it,” so says Sepp Blatter, FIFA President since 1988. This is exactly what allowed corruption to thrive within FIFA (Fédération Internationale de Football Association) is the international governing body of association football (known as soccer in the US! ), futsal (modified soccer), and beach soccer. The culture of a company/association comes from the top. The behavior and cues the leader gives teaches others what is/is not acceptable. It’s exactly why so many people believe that NJ Governor Chris Christie had a hand in Bridgegate, even though no evidence has been found to link him to it. The reasoning is that he created a culture of bullying and retribution so his lieutenants figured closing the George Washington Bridge to punish the Fort Lee mayor who refused to support Governor Christie was a good idea. Sepp Blatter joined FIFA 40 years ago as the 12th employee of the organization. The US indictment charges that kickbacks totaling more than $150 million have occurred over the past 20 years—all on his watch. As a consummate politician who has survived 17 years of scandal, accusations of corruption and the rise and fall of internal political challengers it is hard to believe that he had no knowledge of the actions of his senior level staff. It’s true he “can’t monitor everyone all the time.” He didn’t need to. As the leader he could and should have monitored his direct reports and investigated any hint of wrongdoing. While he has not personally been accused of misdeeds he did not hold his senior level staff accountable for ethical behavior thereby implicitly condoning corruption. For all intents and purposes Blatter is FIFA and therefore should be held accountable for the egregious behavior of his staff. The book is designed to give advice on building and running a startup—but the real reason to read it is that it provides a lot of insight into the mindset of a CEO and other top-ranking executives who are making decisions (often in a vacuum.) He has a dramatic story to share and that makes this book an entertaining, fast read. Horowitz was shocked to learn that treating people well was good business which was a surprise. The fact that he called it out really helps you understand the CEO mindset as does the concept of a “wartime CEO” vs a “peacetime CEO.” It explains how Steve Jobs, a wartime CEO, could treat people horribly yet engender loyalty and ultimately success. He simplifies the job of CEO to a few critical functions: making decisions in absence of all the data, having the courage to stand behind and in front of your decision, and being able to sell others on your decisions. These are important skills to develop regardless of your leadership level. As someone who prides himself on his authenticity, it was painful to hear Horowitz’s constant referral to the CEO in his examples as a "she." It seems a blatant attempt to be PC and it felt like he's talking down to potential women CEOs, and it eventually becomes insulting. That said this book is worth reading as an autobiography with interesting insights from the top.